After 13 years of designing landscapes, I have used all of my experiences to continually refine my design process. My process is incredibly organized, methodical, and detailed. The design process typically lasts between 4-8 weeks depending on many factors and the required timing of the project. Whether planning a child’s birthday party or building a custom home, the planning is the most important part. It lays the foundation for successful execution. With a poorly planned project, it doesn’t matter how well it is built or how much money was spent, it will only be as good as the design. My design process begins upon our first conversation when I begin taking notes about your project goals and information. I will explain to you the design process in detail and what the next steps are. After our conversion, I will send you an email package that will contain important information and attachments. It will contain a .pdf file of an example drawing so you can see all the details that the finished product contains. Depending on our conversation, I may attach addition files, pictures, or links to particular projects on my website. Most importantly, I will give you a link to my Project Design Form. This design form is truly an integral part in the process. It will guide our initial consultation, as it will help me understand your likes/dislikes, wish list, and lots of other important information. The form is to be filled out online, and will be automatically emailed to me for review. This form is a document that I will refer back to throughout the design process. The initial consultation is a site meeting at your home that usually lasts about 2 hours +/-. We will begin with a walk throughout the site talking about where you envision your site features. We will then take it inside in front of my laptop to look at lots of pictures and projects that relate to yours. Think of this initial consultation as a really relaxed and fun brainstorming session. Often times, this is the only time we meet before the construction of the project. At the end of the consultation, I will give you tell you what my design fees will be based on all of the numerous variables. There is a fee for the initial consultation as detailed below in the Design Fees section. 95% of the time, the client does not pay this fee as it is waived if we proceed with the design. Every project requires a certain amount of data collection and site analysis. Most often, I will perform this work after the consultation assuming we are proceeding with the design. Sometimes I may have to make another site visit to collect the data I need. Other times, the site is of the size and complexity that we will have a surveyor get the location and elevation data I need. After I have the site data I need, I will combine it with the survey or other drawings that you provide me with. All of this information combined will form the “base map”. This base map serves as the foundation for all of the design work as it indicates all of the existing site conditions. On top of the base map is where I will create the hand drawn concept drawings to scale. During the consultation, we will determine the direction of the concepts. Every project is unique and therefore the concept drawing approaches are always unique. I will typically do 2 concepts for most creative areas, and 1 concept for areas that are very strait forward. The concept drawings are emailed for your review. Once you are completed reviewing the concept drawings, we will set up either a phone call or preferably an online meeting. We will discuss the concepts in great detail and define how we will move forward. Most of the times, we will end up taking ideas from each of the concepts and combining in some way. Sometimes, one concept will nail it and it is a matter of making minor adjustments. Based on our review of the concepts, I will create a refined concept. This may be an overlay over on of the concepts, a totally new concept drawing, or a computer drawing. Think of this phase as we are polishing up our design ideas and preparing for the final plan. The Landscape Master Plan is the final product that will serve as the legal construction document for the project. It is to be used by contractors to accurately price out the project and to ultimately build it. It is truly the only way to compare apples to apples if you are putting the project out to bid. This plan will also serve as the document that will get submitted to the township for approvals. This plan shows all necessary site design features with adequate detail. It is the culmination of all of our ideas and efforts. Once the plan is complete, it will go to your selected contractor(s) or go out to bid. Once the contractors are selected and all is worked out, the project will come to life. I am happy to guide you through the entire process from the completed plan to the completion of the project. I would be happy to explain in much more detail over the phone or in person the process of taking our completed design to the execution phase. I absolutely love that I have the opportunity to transform outdoor spaces. I love to see my projects through to the end when I get to photograph them. Most of the times this is possible as my clients like to have me involved to a certain degree. When I am brought into a project by contractor, or you select one of my recommended contractors, I have the opportunity to see it through. I you go with a random contractor, I can be involved to whatever degree you wish at an hour rate compensation. I am part of many types of landscape projects, all with their own origination. Most often I am brought in by great landscape contractors to projects that require my design attention. In this case, you will likely proceed with the landscape contractor who introduced us, although, you are not required to as I am a separate entity and you are paying for my services separately. If you do not have a contractor, I am happy to say that I work with many great contractors that specialize in all aspects of outdoor projects. If you are an ambitious homeowner, my plans are perfectly suitable for you to install it yourself depending on the project elements. Typical design fees for custom Pool Projects range from about $ 4,000 - $ 10,000, most falling somewhere in the middle of this range. I work on a huge variety of project types. 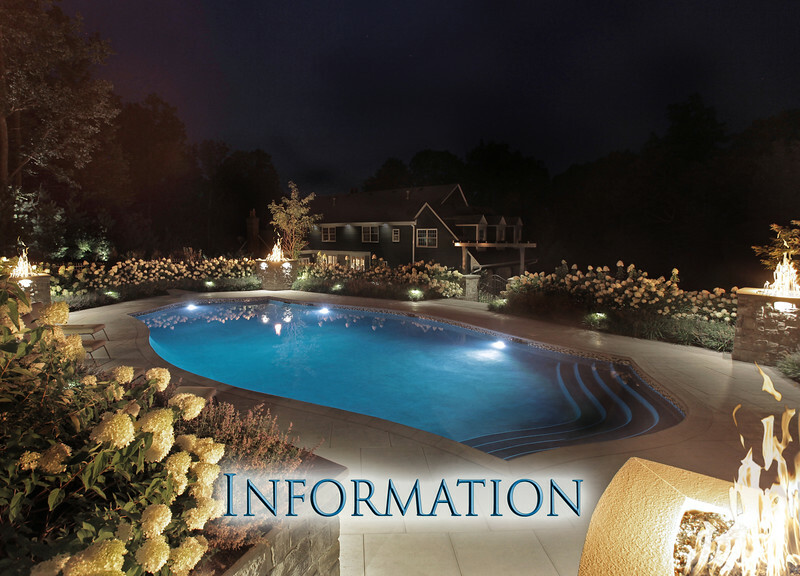 Projects not involving a custom pool are less expensive. The design fees are affected by many variables. The following are some of the more major variables that will help me determine the price. - Starting document information such as property surveys, grading plans, etc. - Level of detail required in the design areas as well as the design syle- Complicated design features such as pools, fireplaces, outdoor kitchens, pergolas, cabanas, etc. I make myself available to my clients for consulting services for my continued involvement in their project during the build phase. If a client selects a contractor(s) that were not my recommendation, then my involvement above and beyond the creation of the Landscape Master Plan will be an additional fee billed at an hourly rate as agreed upon. Typically, if a client selects my recommended contractor(s), then the client pays no additional consulting fees, they are paid to me by the selected contractor at a reduced rate. Typical hourly rates for this type of involvement are between $100 - $150 per hour. These additional consulting fees will be discussed in detail and will be a separate contract from the original design fee contract. Clients have the ability to pick and choose when they want me to be involved and to what degree. Most of the time, I dedicate a few hours to each project that I am not paid for that are above and beyond my design contract. I am ok with this as it is part of what I do to take care of my clients. However, there are projects where I am inundated from all angles and need to dedicate my time to help things move along with a given project. For this, I need to compensated for my time as every minute I am not doing billable work is every minute I am not generating income for my family.